Active day is ahead of us, so lets get right too it. 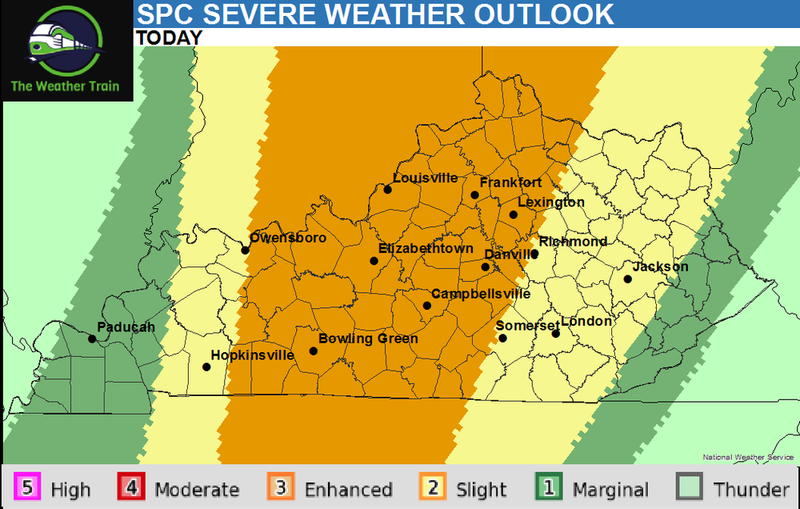 The SPC has UPGRADED the entire Central Kentucky area into an ENHANCED risk for severe weather later this afternoon and evening. This is a level 3/5 on the severe weather risk scale, and would also be the biggest severe weather threat in 2019 so far. As of now, there is an area if rain/storms in Western Kentucky what will move to the northeast towards Indiania. Then much of Central Kentucky looks to dry out during the late morning to early afternoon period. If we see any sunshine today, our severe weather threat gets even higher. As we head into this afternoon, storms look to develop and move east. Damaging winds and isolated tornadoes are the main threats, with heavy rain, lightning, and small hail the secondary threats. The best timeframe for these storms look to be between 4-8 EDT. Outside of any thunderstorm activity, winds could gust as high as 40-50 MPH at times. 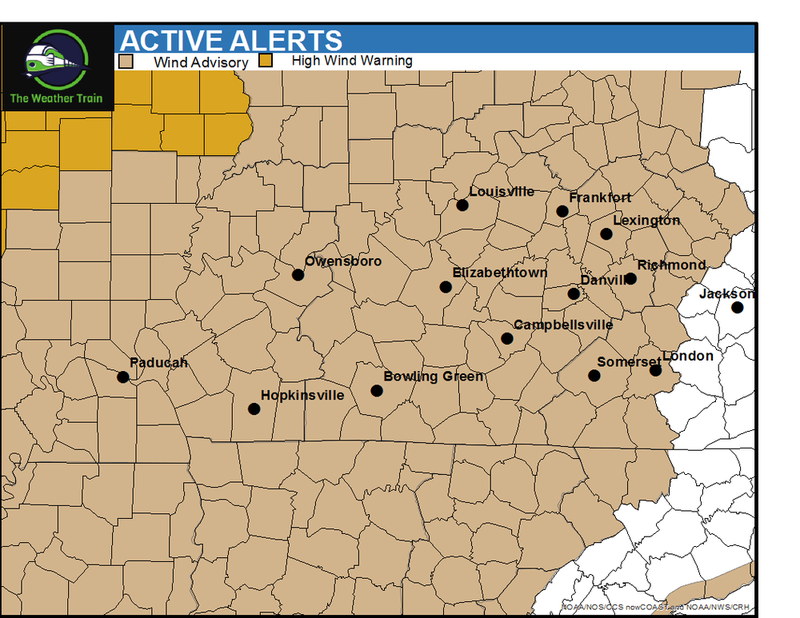 NWS has issued a Wind Advisory through late this evening. Stay tuned to social media for the latest information, and stay weather aware today!